The lack of access to financial services in the rural Philippines presents a major barrier to achieving broad-based economic growth. Mobile money offers an innovative, cost-effective means to create high-impact development that benefits marginalized populations. SIMM built upon the U.S. Agency for International Development’s interventions in microenterprise access and mobile banking to expand financial services through new technologies. Financial services provide the means for the poor and unbanked to build assets, better withstand shocks, and participate more broadly in the formal economy. 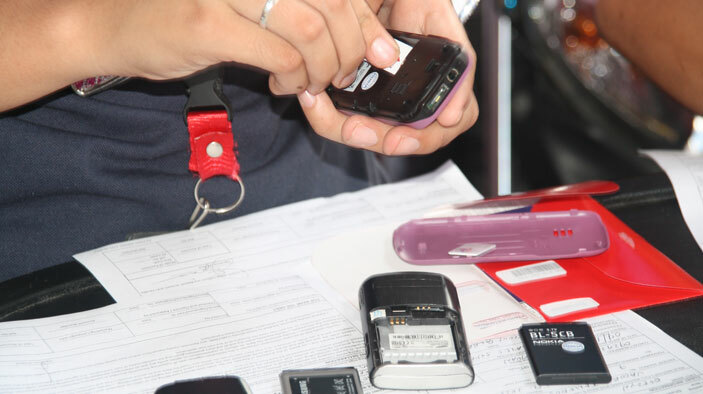 Mobile phone banking has the potential to help the Philippines reach development goals faster and make those gains sustainable. With just 26 percent of Filipinos enjoying access to formal financial channels, a latent demand remains largely untapped as 610 out of 1,635 municipalities do not have banks. This two-year project addressed supply and demand constraints to broaden adoption of mobile money in the Philippines while promoting global knowledge sharing. Grow mobile money services to more than 1 million active users, one-quarter of whom are new subscribers. Train more than 10,000 people through financial education and literacy on the uses of mobile money for improved household financial management. Provide 10,000 people new savings accounts via mobile banking. Establish an additional 2,500 cash-in/cash-out merchant partners operating mostly in rural areas. Increase payroll implementation and adoption to 100 small, medium, and large businesses and one government agency or local government unit. Increase the monetary value of mobile money transactions by more than 200 percent. Sponsor conferences and venues for networking support and produce research papers and assessments for knowledge sharing. Since April 2012, the number of registered mobile money users grew 25.4 percent to about 12 million. The number of active users—users who performed one or more mobile financial transactions in the last 90 days—grew 8 percent to 582,255 in the same time frame. Assisted the Commission on Audit in releasing a circular allowing national and local government agencies to collect fees and taxes using electronic payments. Close to 9 million monthly transactions with the government may now be done electronically. Nearly 22,000 branchless banking accounts have been opened. More than 22,000 local government employees and social welfare beneficiaries are receiving or will receive monthly salaries or benefits via mobile money. More than 16,000 people received financial literacy training.